Yes we do. Please call our office to schedule an appointment or contact us through the contact form on this website. 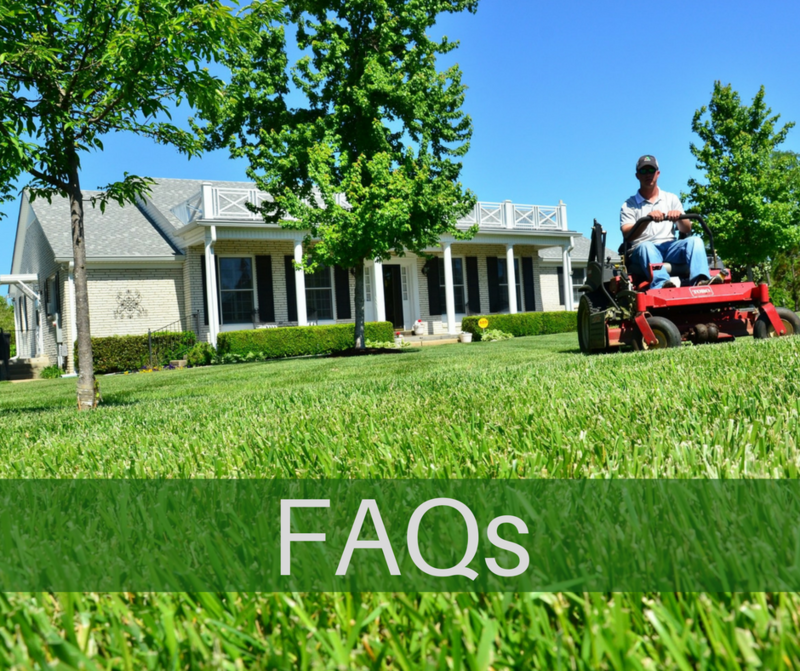 How long does it take to schedule landscaping and irrigation installations? It depends on the time of year. Early and late in the season we are more readily available. Otherwise, once a contract is signed and deposit received, we will add you to the queue and get to your job as soon as possible. A delay of one to three weeks is not unusual during the busy season. How do I schedule seasonal irrigation service? System startups in the spring and turn-offs in the fall can be scheduled by calling our office, or better yet, by emailing us at info@landscapingbyjmichael.com. How much is required for a deposit on work to be performed? Generally, a 50% deposit is required on landscaping and irrigation installations. Projects greater than $15,000 will be set up in 1/3 deposits. How are seasonal property maintenance contracts paid? Seasonal property maintenance contracts for mowing are billed out in six equal monthly installments beginning in May and ending in October after 1/3 deposit is received. All other services, such as spring clean ups, mulching, pruning, seasonal enhancements, fall clean ups, etc. are billed when services are performed. Do you sell landscaping supplies to the homeowner? Yes, Landscaping by J. Michael carries mulch, loam, 3/4″ crushed stone, stone dust, pea stone, crusher run, and mason sand. We also carry a variety of stone including, cobblestones, fieldstone, bluestone, granite and a variety of wall stone. Yes, we deliver within a ten-mile radius of our Marshfield facility with a nominal fee. Deliveries outside of this range would be charged a higher delivery fee. We accept personal or business checks, cash, Visa and Mastercard. Sorry, but at this time we do not accept American Express or Discover Card.